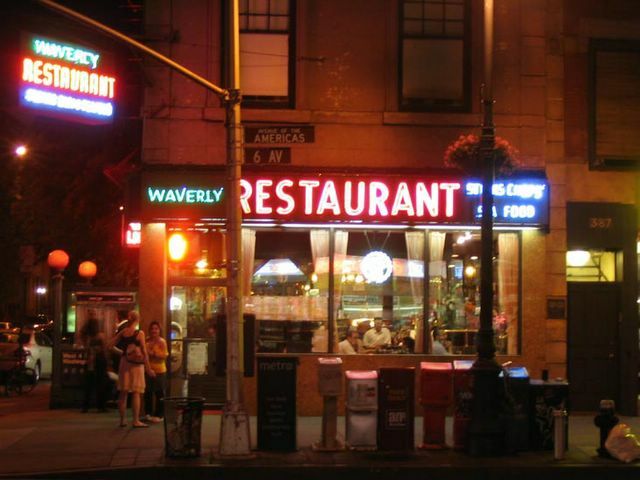 One of the few things we hold close to our hearts is Waverly Diner at the corner of 6th Ave. and Waverly Place. Ever since we arrived in NYC, Kumar has treated us like brothers. The funny thing is, when you first find the place, you think it's your little spot in NYC. Then you stop by for breakfast on a Saturday morning and realize half of New York is in line. Well our little diner's all growns up, and it's all growns up! In an HBO Documentary named "Dope Sick Love", Waverly diner makes a special guest appearance. OK, it's not exactly what you'd call an advertisement: it's a hang out for a couple of junkies between fixes. But please congratulate Kumar the next time you stop by. Also, if you would like to see the documentary, Tivo HBO2 at 2:45 AM on June 24th.